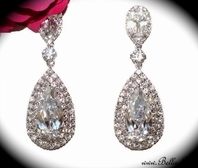 Jolie - DAZZLING Crystal drop Earrings - SALE!! 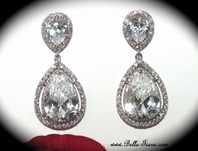 HOME / BRIDAL JEWELRY / Bridal Earrings / Jolie - DAZZLING Crystal drop Earrings - SALE!! 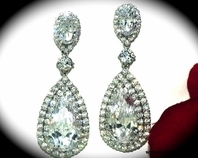 Description: Sparkling clear rhinestones give these silver plated earrings an enchanting quality, making the set a memorable and lovely part of your special day. 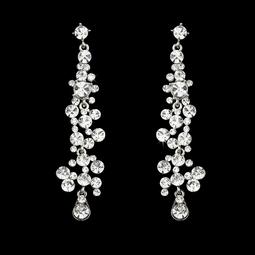 The perfect accessory to your modern or vintage-inspired wedding. 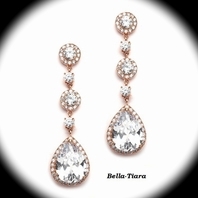 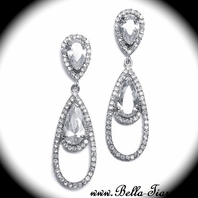 The earrings fall to a romantic and lovely 3 1/2". 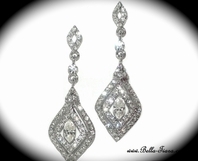 This earring measures 3 1/2" in length and 3/4" in width.